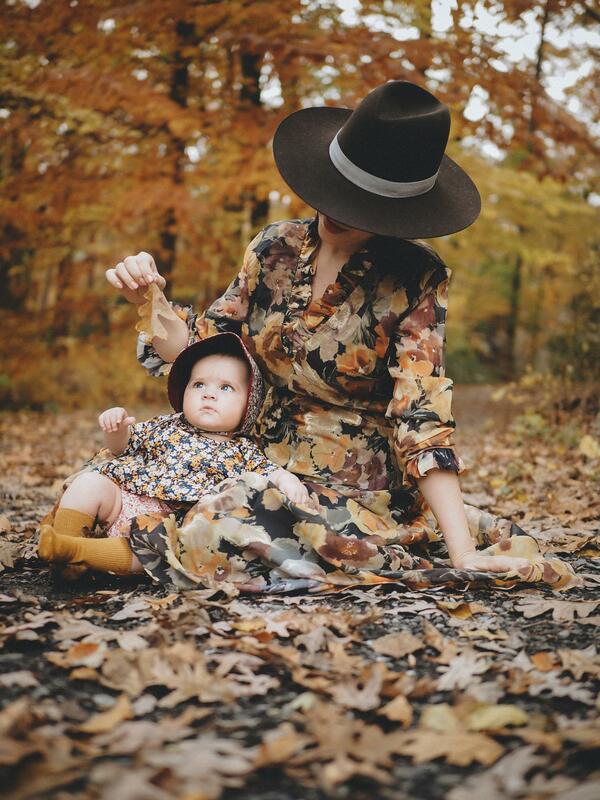 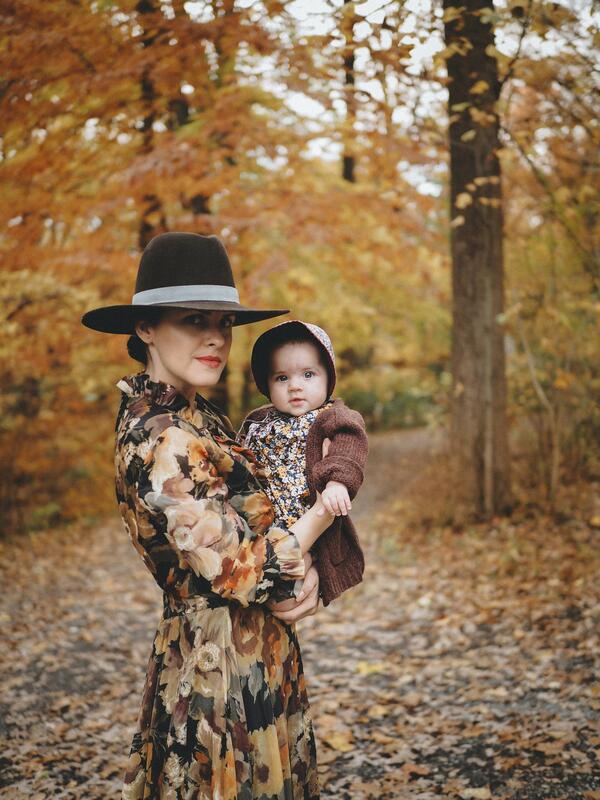 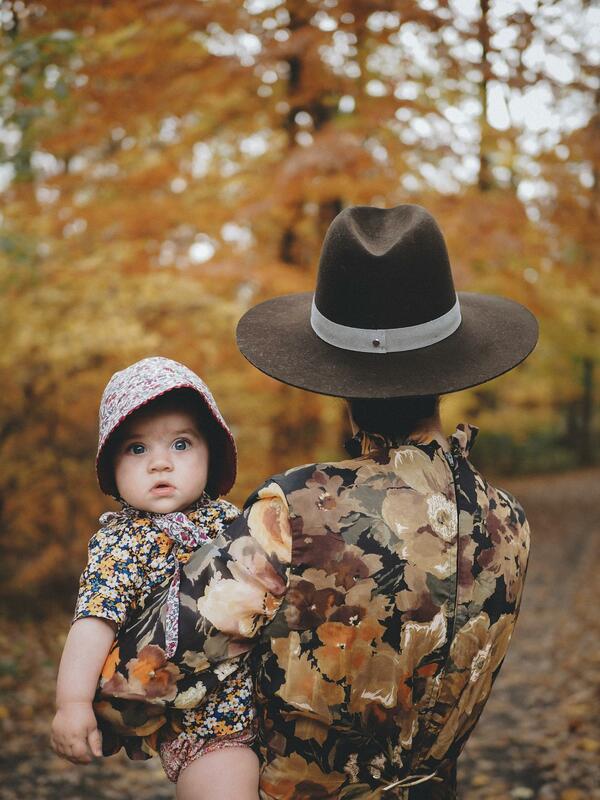 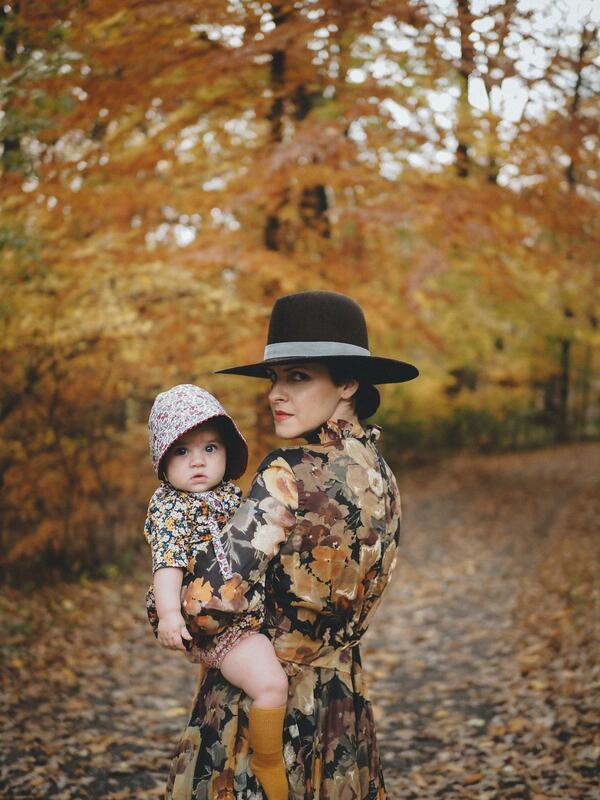 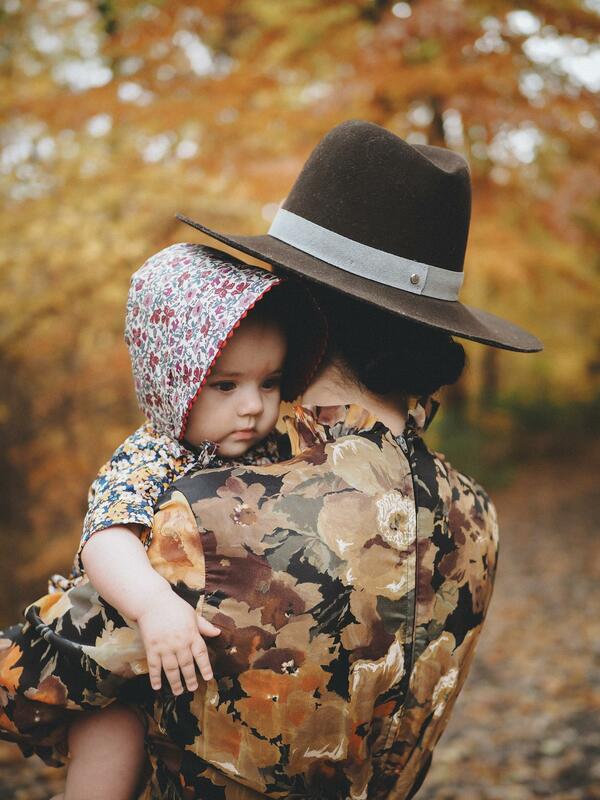 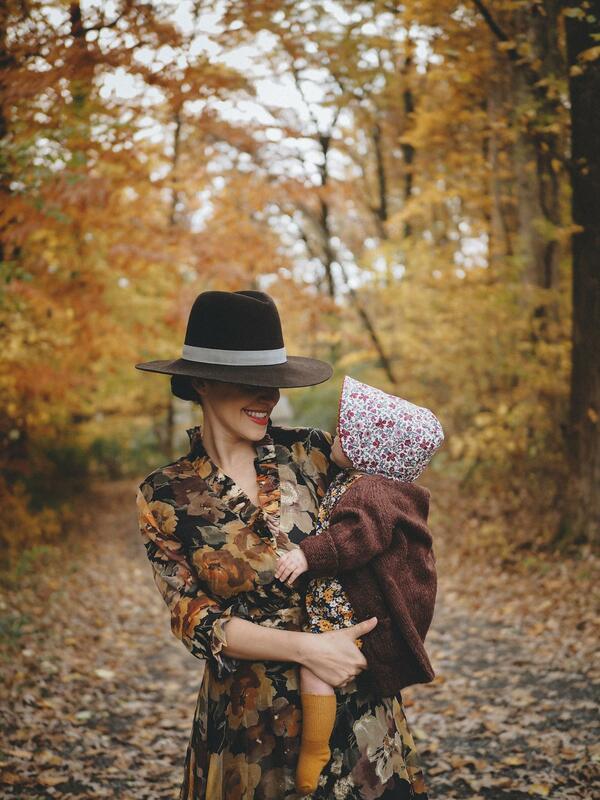 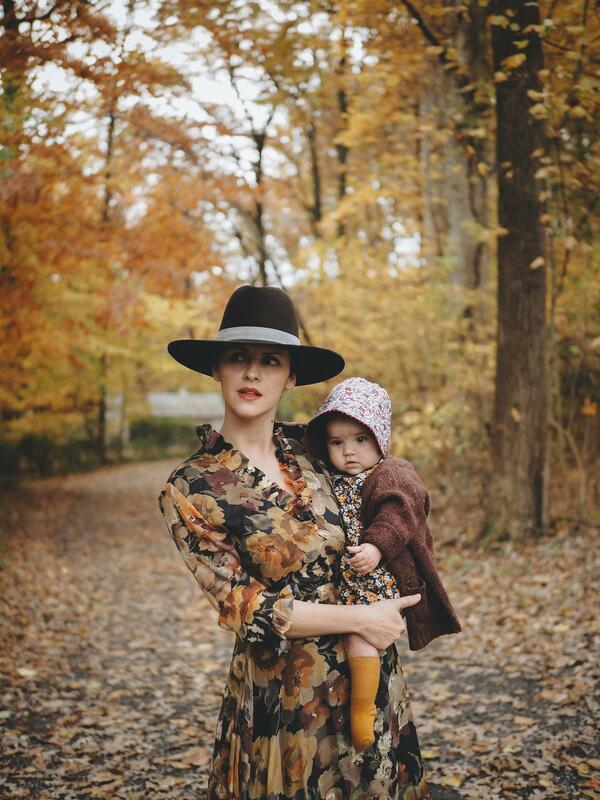 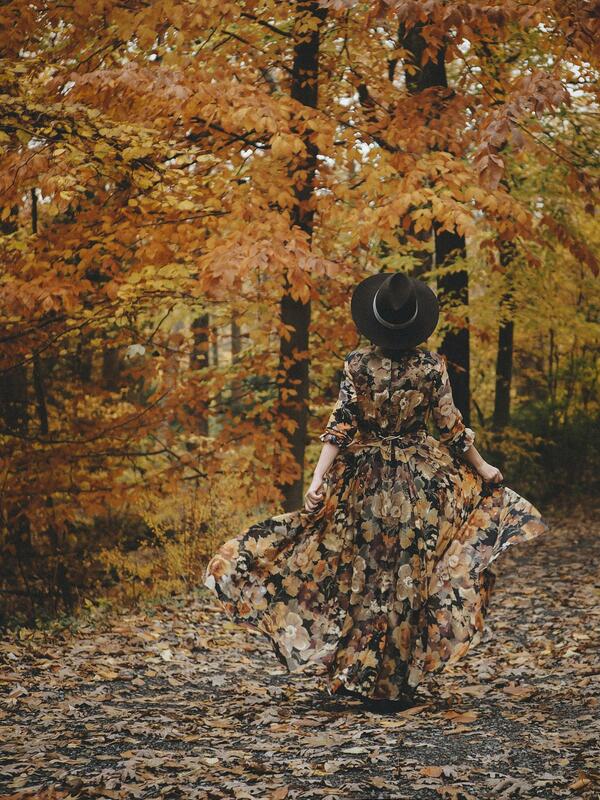 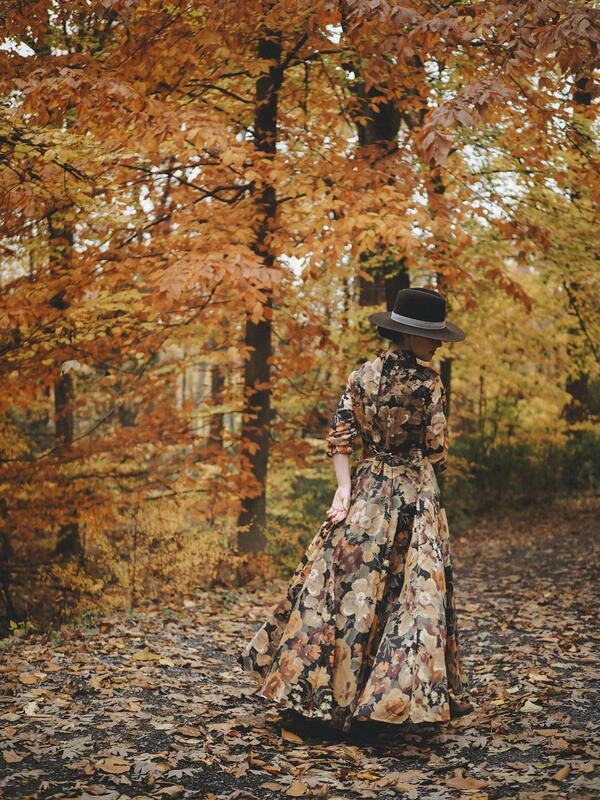 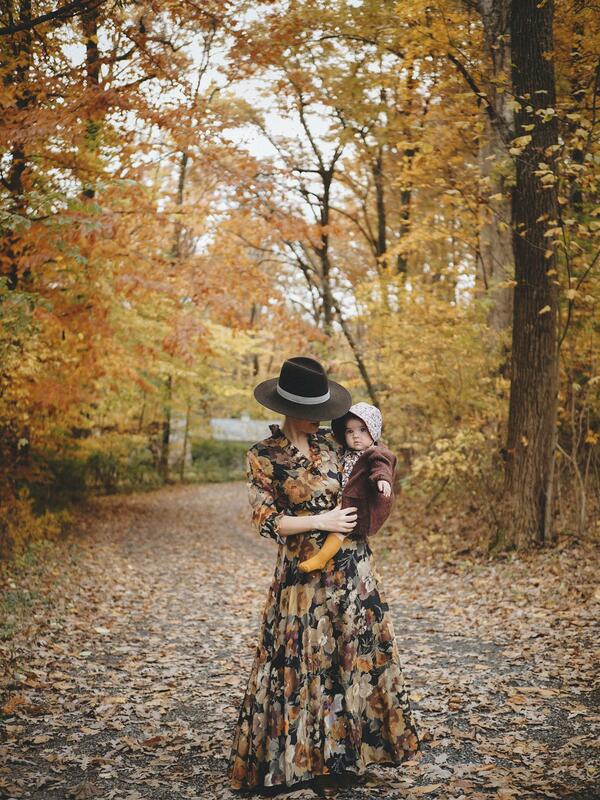 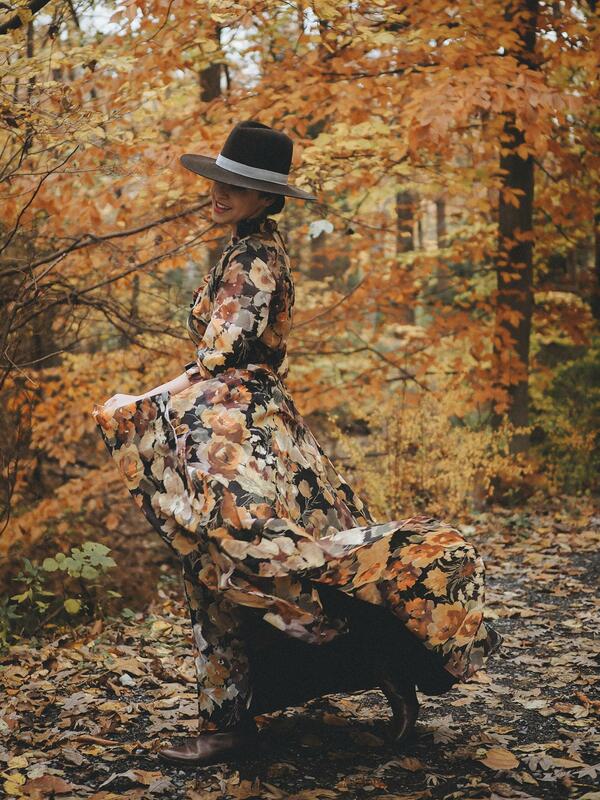 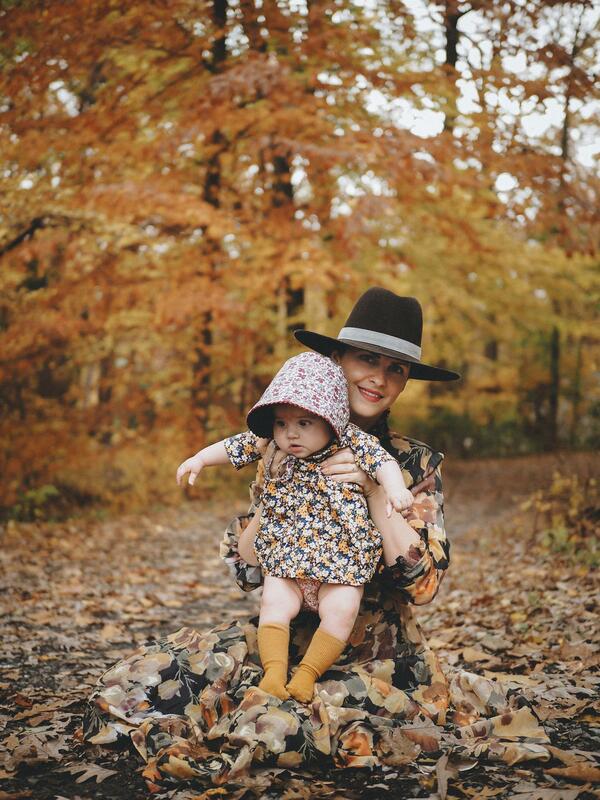 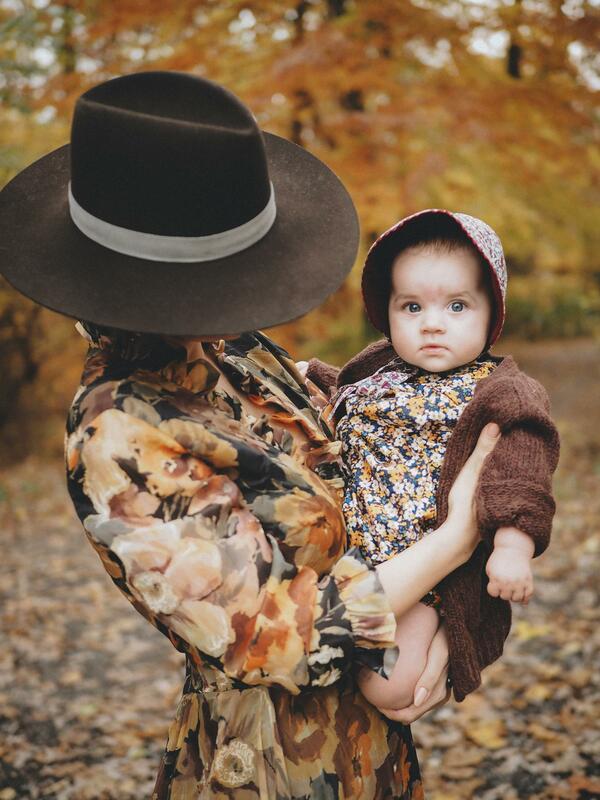 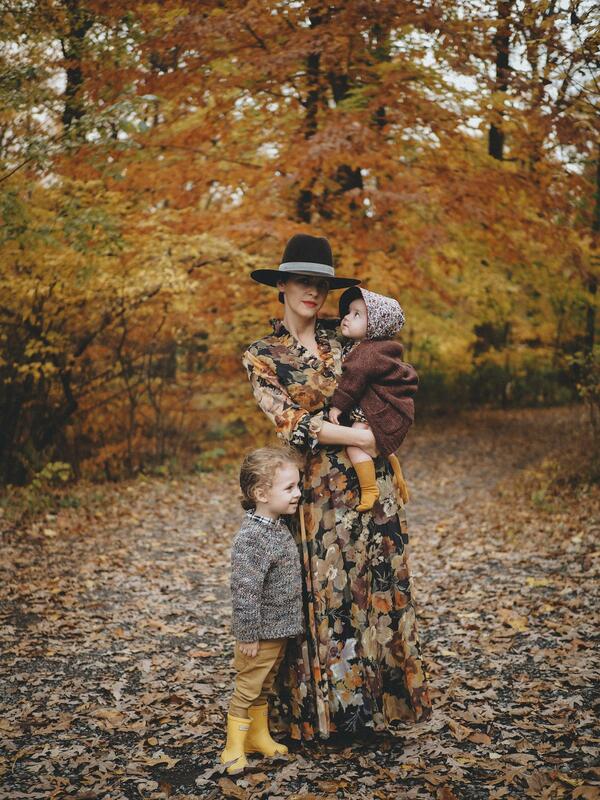 We enjoy all Caroline's "firsts", so definitely her first Autumn is special. 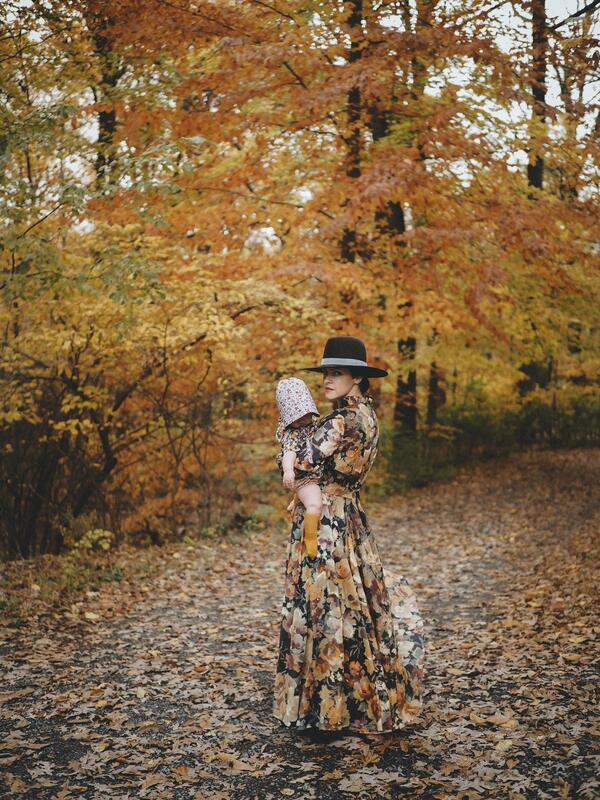 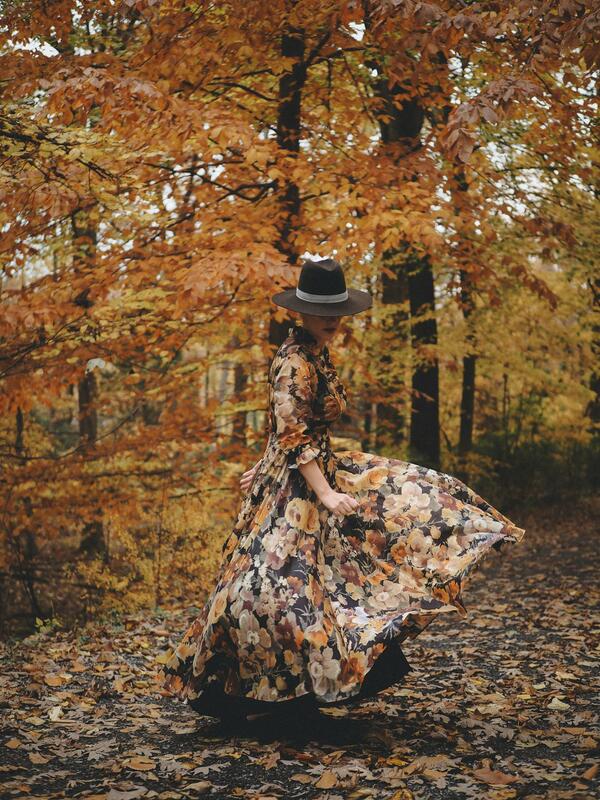 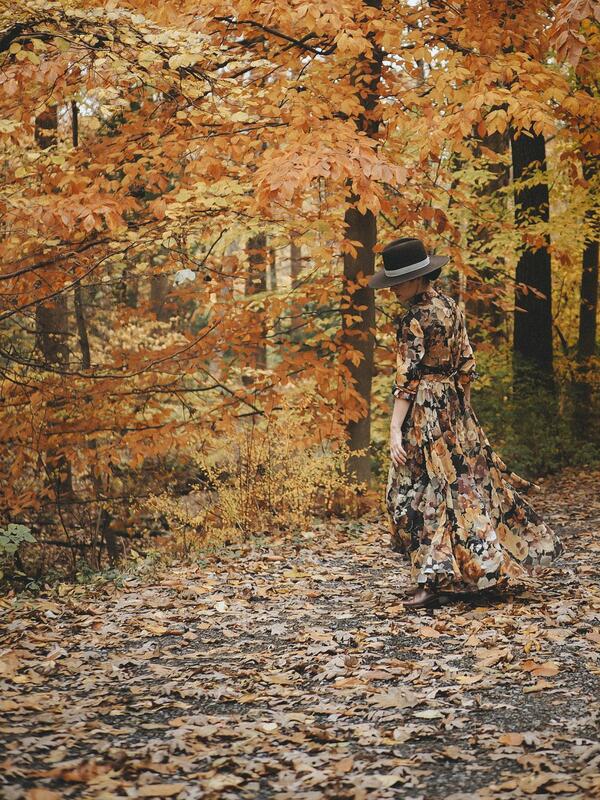 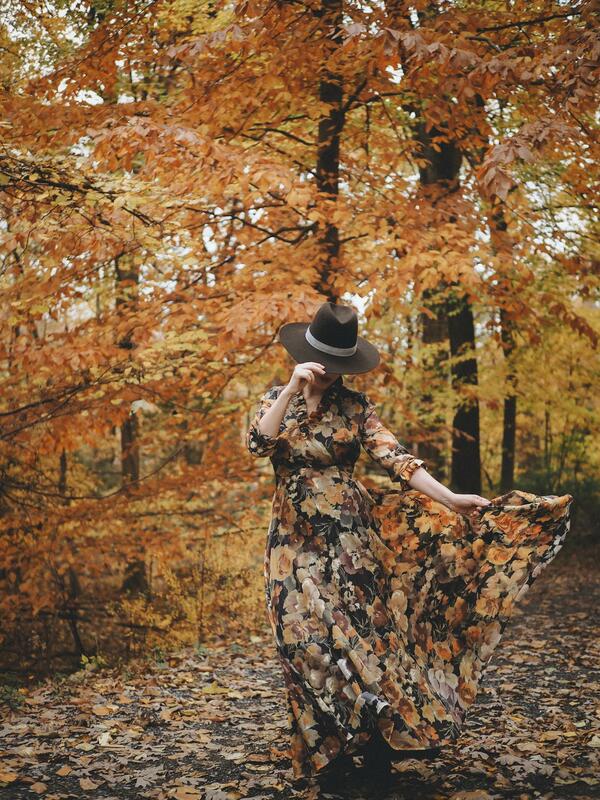 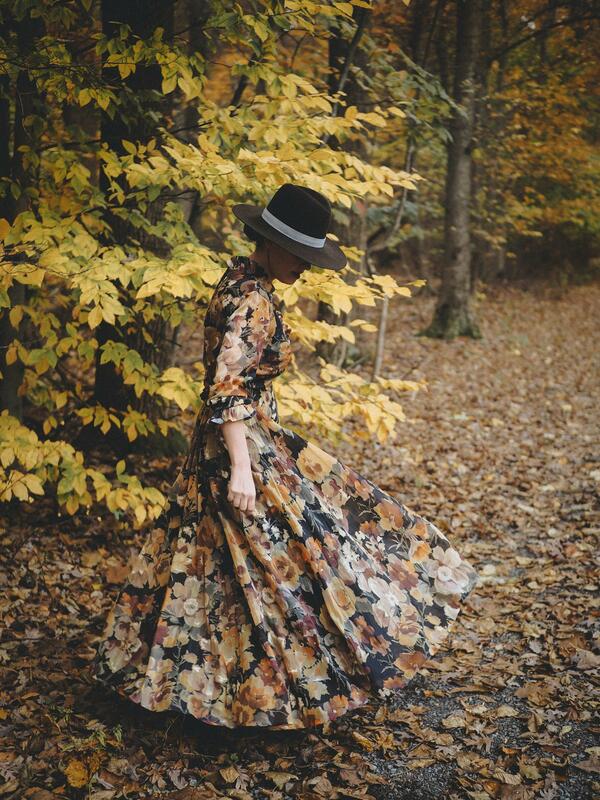 A few weeks ago we escaped for a day in the countryside and we, the ladies, wore floral dresses, mine vintage, hers from Dearloa.com, but both in the Fall colors just like the surroundings. 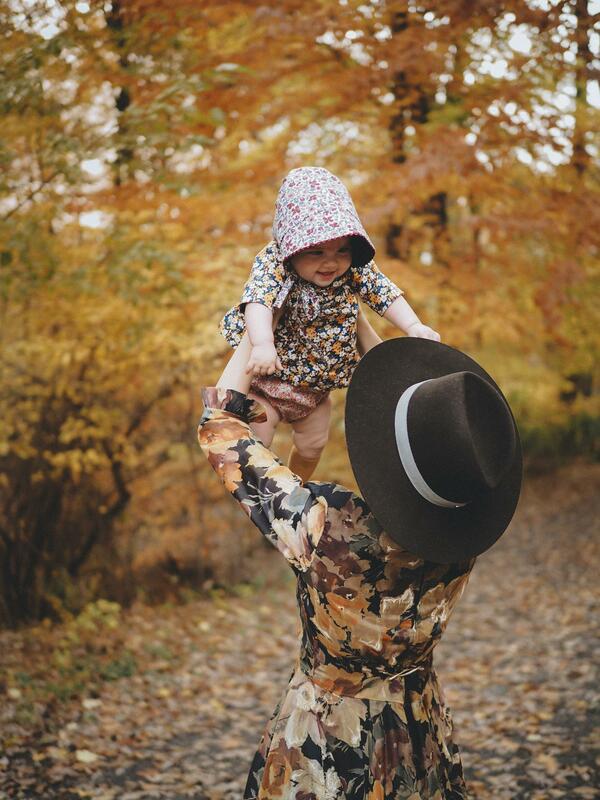 Noah was very hard to catch in the photos but still, one of them is clear enough to post... actually enough to remember clearly this day!